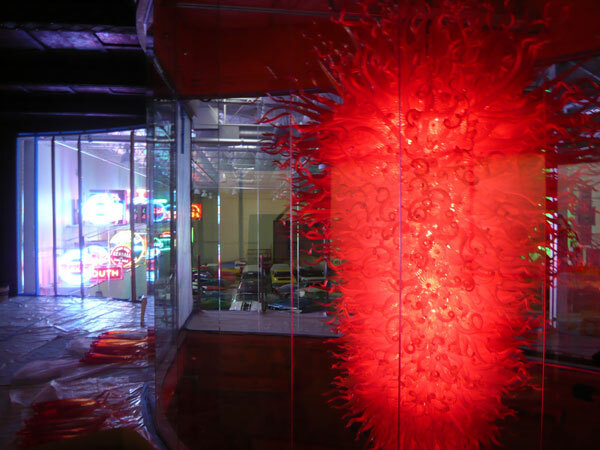 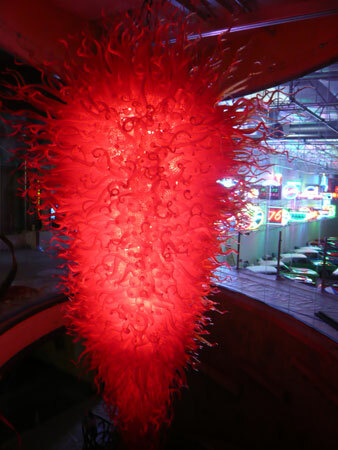 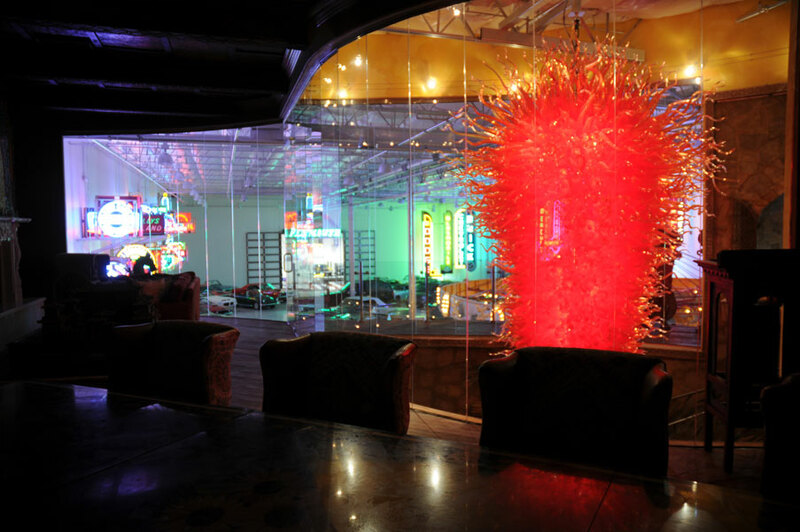 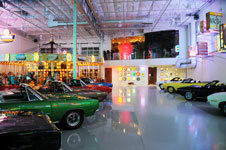 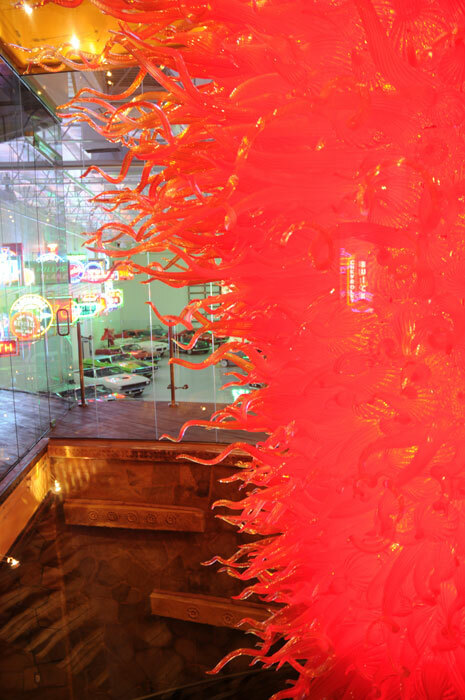 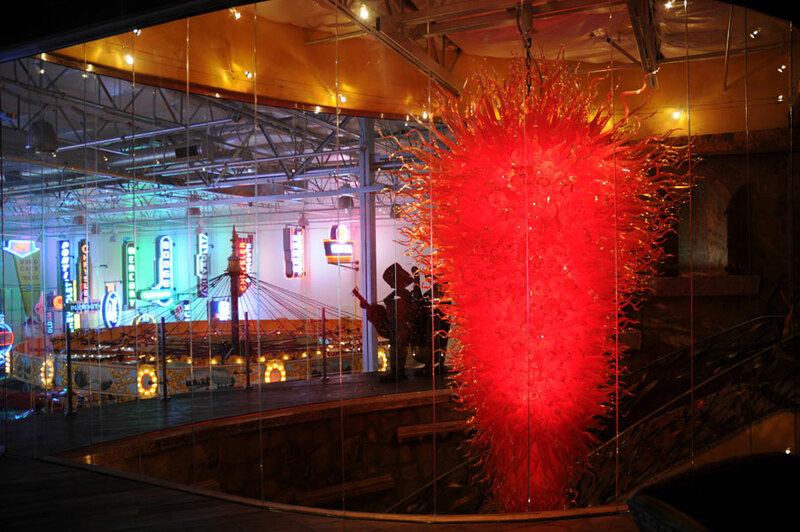 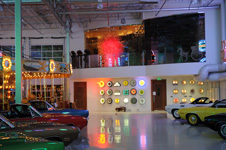 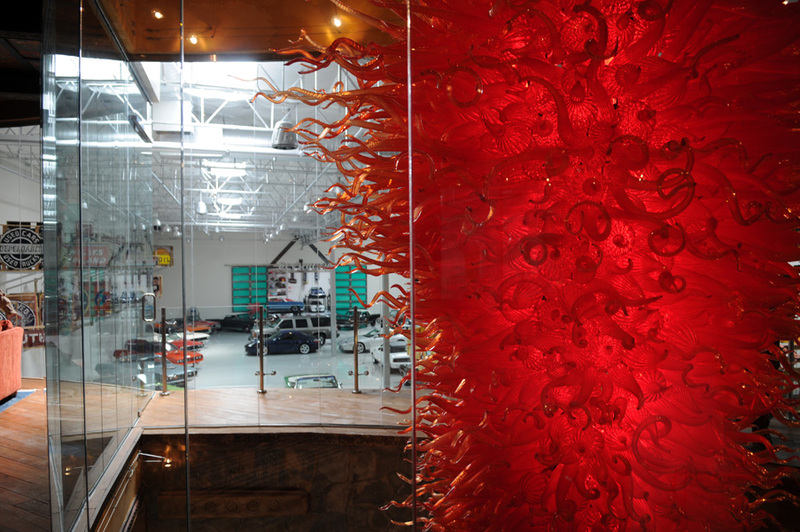 Artist Robert Kaindl was commissioned by a prolific private collector to create a tail-light red RK Art Glass Chandelier to be featured in his private automotive car museum. 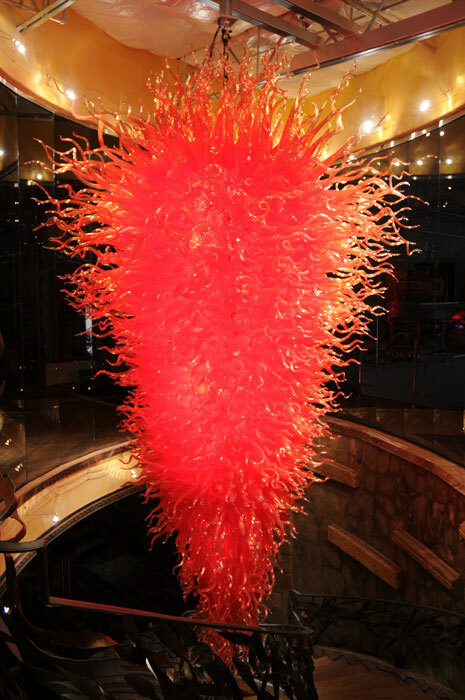 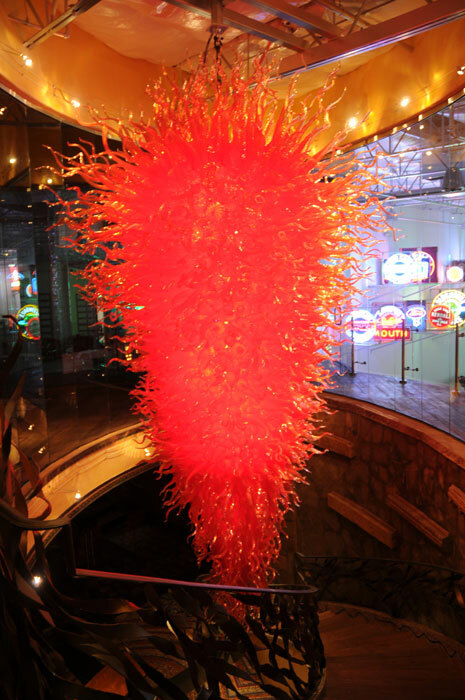 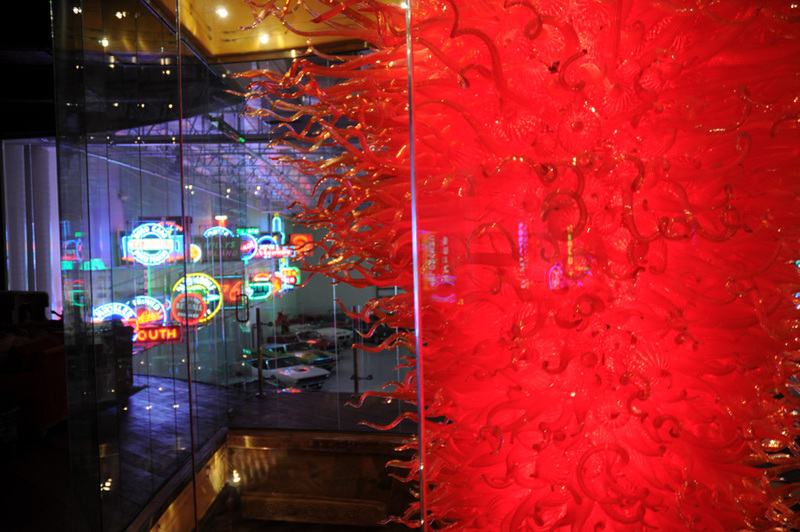 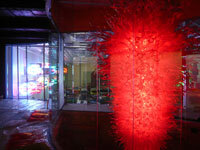 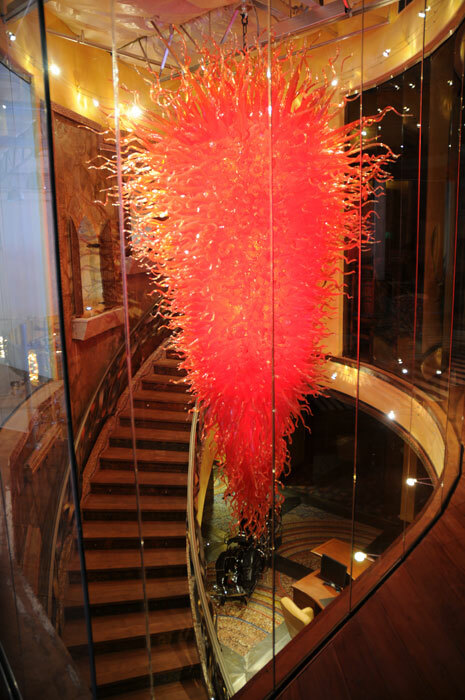 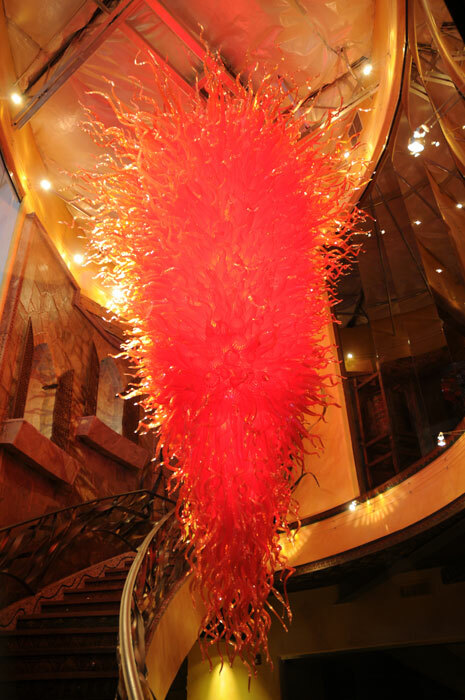 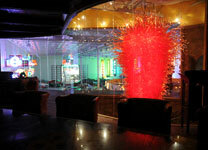 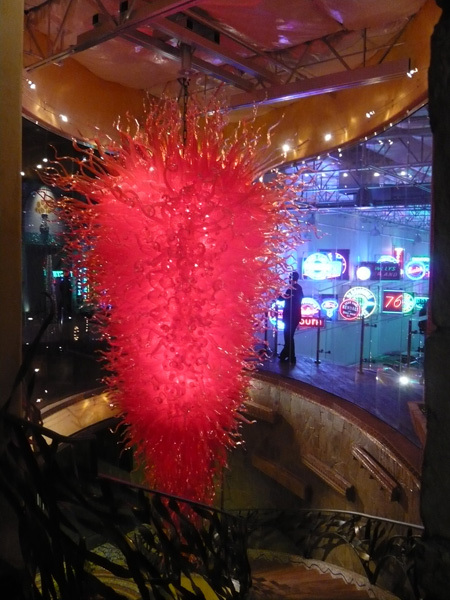 This imposing crimson red 22' by 12' installation is an awe inspiring 2.5 tons of hand blown Art Glass. An extraordinary master work punctuates the entrance to this impressive collection of highly desired vintage and rare automobiles.